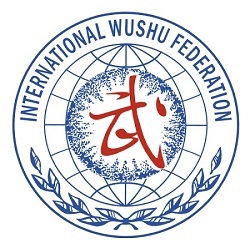 Congratulations to the success of our athletes that participated in the 5th World Junior Wushu Championships! Master Wayland Li (second from right) with students Julia, Erica, Nima, Terence and other members of the Canadian National Wushu Team. Teams Canada and Hong Kong at the 5th World Junior Wushu Championships, 2014. Erica and Julia warming up at the 5th World Junior Wushu Championships, 2014.